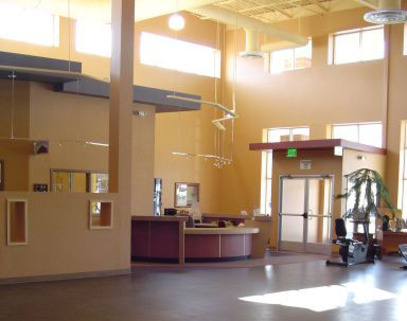 We are conveniently located on the northwest side of Colorado Springs at the intersection of Garden of The Gods Road and Centennial Boulevard in the West Wind Shopping Center Marketplace between Ace Hardware and Walgreens. 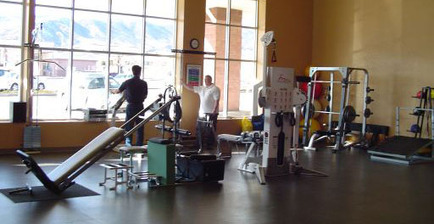 In Motion is a privately-owned and operated outpatient orthopedic physical therapy clinic. Owner and physical therapist Brian Surage, specializes in manual physical therapy and medical/sports exercise. Clients receive soft tissue, nerve, and joint mobilization techniques followed by exercise and neuro re-education. This approach restores mobility to arthritic, frozen joints, entrapped nerves and stimulates tissue regeneration and function. Brian uses movement re-training to ensure correct core stabilization during functional or sports activities.